Faith Bible Church was formed in April, 1987. Our first service was held on Easter Sunday in a local fire hall with approximately one hundred people in attendance. Soon after our first Sunday, the Lord provided another meeting place at a local restaurant in Mount Joy. Our new location allowed for the nursery and children’s Sunday School to meet in separate rooms. 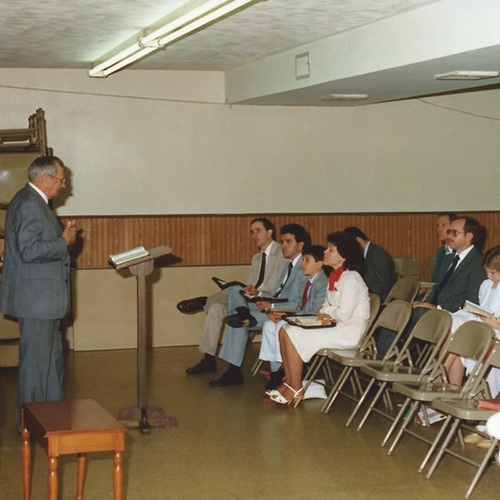 After officially organizing and adopting a Constitution and a Standard of Faith, we held a Charter Sunday service on June 28th, 1987. The following year, God called Pastor John Lutz to lead our congregation and we voted to purchase 10 acres of land located approximately three miles east of Elizabethtown. 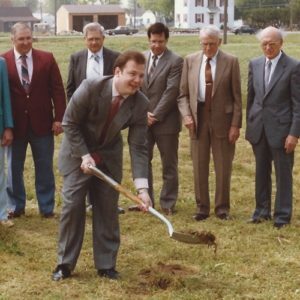 On December 10th, 1989, our new building was complete and we held a dedication service. In 2001, God led Pastor Lutz away to minister in Lancaster City and He called Pastor Danny Linville to our congregation in 2003. October 28th, 2007, marked the dedication of our building expansion, which provided more classrooms and a fellowship hall. For ten years, Pastor Linville faithfully ministered at FBC until he sensed the Lord leading Him on. In September of 2013, Pastor Shawn Madrid answered the call to pastor our church and is currently serving in this capacity.